Medium Project 3, Photo 2 » Roger Perron Inc. The stairway space to the second floor was taken from an existing bedroom. We matched the hardwood flooring that was typical throughout the home. The railings are oak and the spindles painted white. 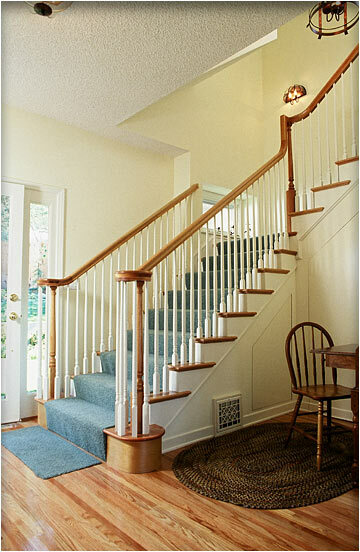 Notice the volute rail and stair tread endings.